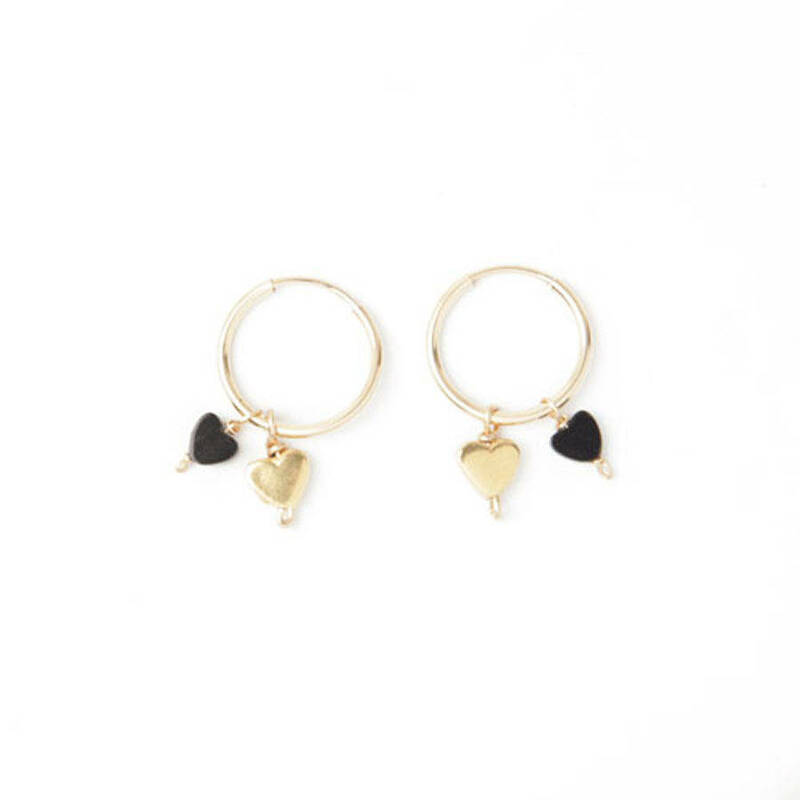 Feel a little special everyday with our delicate Love Heart Hoop Earrings. 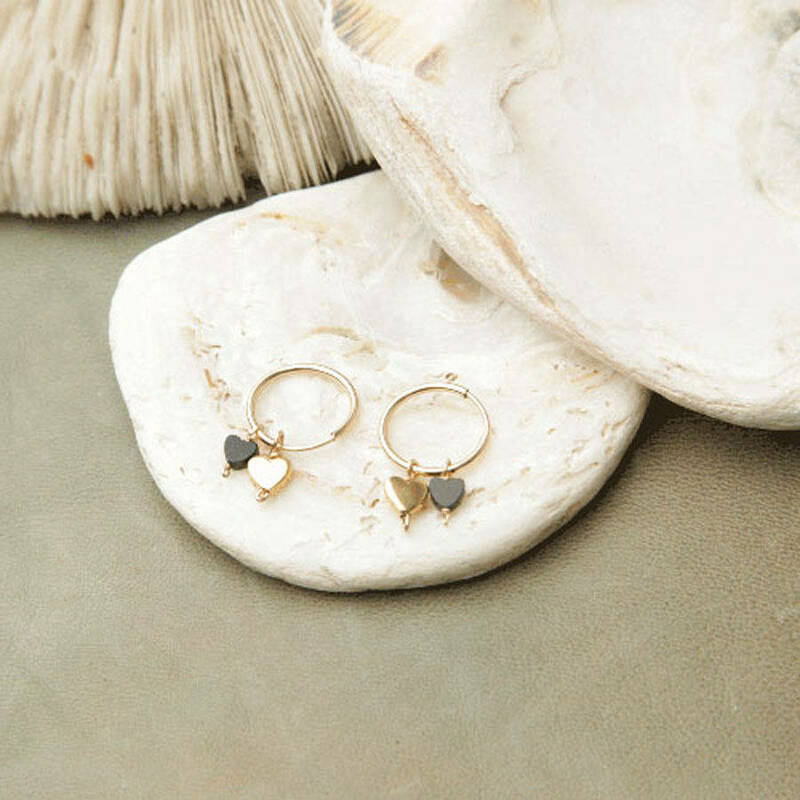 These simple yet beautiful 'sleeper style' earrings feature a single Onyx heart bead and a delicate 14ct Gold Fill heart charm that hang from a tiny hoop earring. Small enough to wear every day there stunning earrings are a perfect gift for someone looking for something special to give to a friend or loved one as they will complement any wardrobe. The earrings are extremely versatile as charms can be added or removed by the wearer. Take a look at out our Bird & Star Hoop Earrings and mix and match the charms for a truly individual look. Made from 14ct Gold Fill with an Onyx bead, they are also available in Sterling Silver. The hearts each measure 5mm and the hoops are 15mm diameter.